By subway: Rinshō-in is a 5-minute walk from Hongo-Sanchome Station on the Tokyo Metro Marunouchi Line and the Toei Subway Ōedo Line. 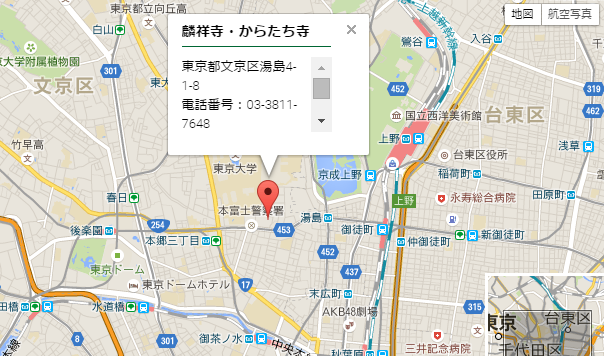 It is a 7-minute walk from Yushima Station on the Tokyo Metro Chiyoda Line. By train: Rinshō-in is a 12-minute walk from either Ochanomizu Station on the JR Chuo Line or Okachimachi Station on the JR Yamanote Line / Keihin-Tohoku Line. It is a 15-minute walk from Ueno Station on the JR Yamanote Line / Keihin-Tohoku Line.